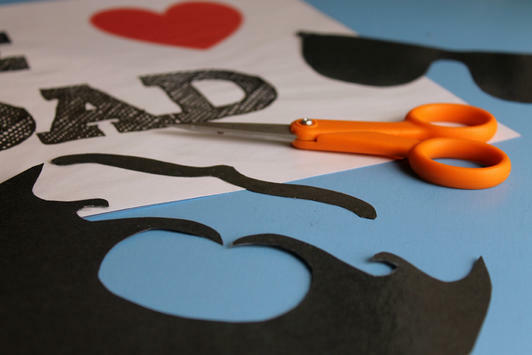 This idea for a Photo Booth Father's Day Card, is more than a thoughtful card for Dad, it's also a fun craft activity for kids! 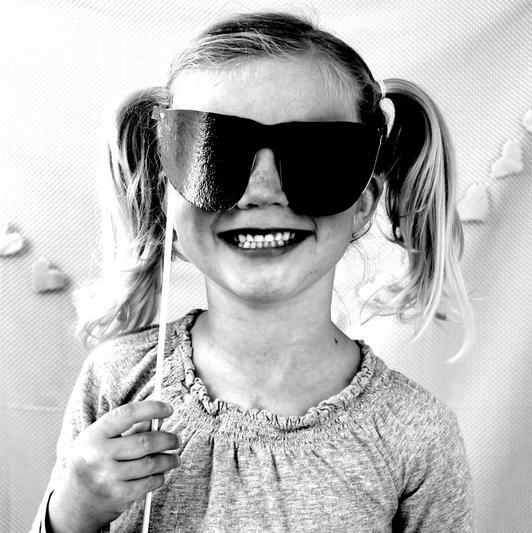 Get creative with the kids and take a few goofy photos that Dad will love. Set aside a few hours to create your props and call the kids in when you're ready to take your pictures. This is one photo shoot that you and your children will always remember. You'll love how fun and easy this project is, in fact the hardest part will be choosing your favorite photos to use! 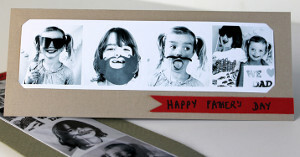 Don't forget about grandpas - they would loves these cute handmade Father's Day cards too. 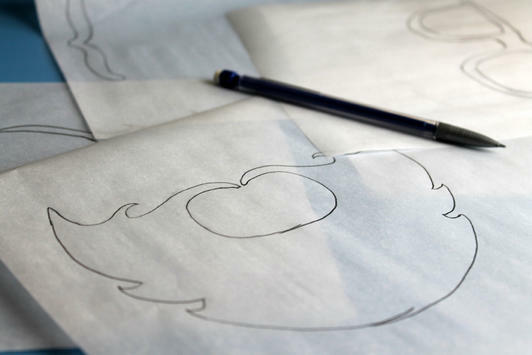 Sketch a beard and sunglasses onto tracing paper. 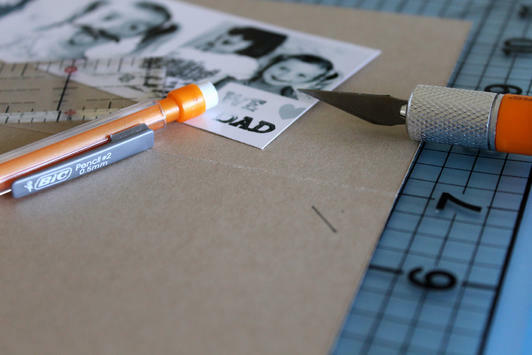 Place the tracing paper on a sheet of black cardstock face down, retrace over the pencil lines to transfer your sketch onto the cardstock. 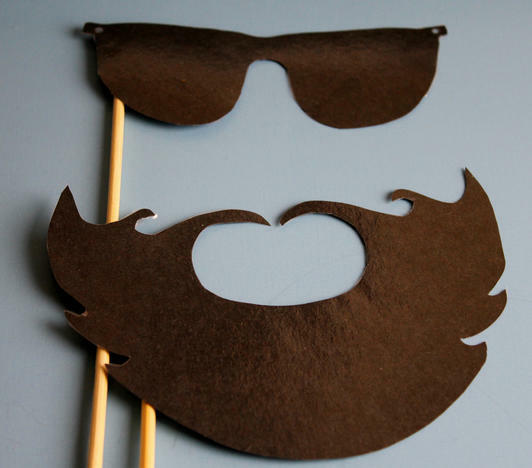 Use a bracket template to trace your "mustache" shape onto black cardstock. Print out a simple sign for the kids to hold which reads, "We heart Dad." 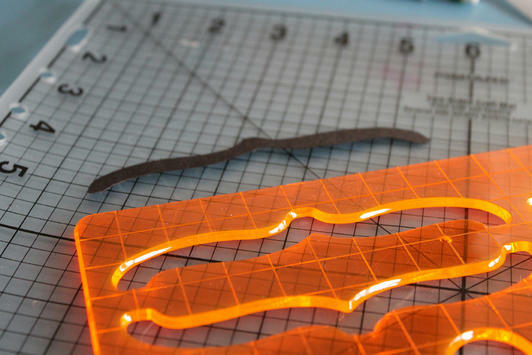 Cut out all of your cardstock props. Adhere your wooden skewers to the side of each prop with a glue gun. 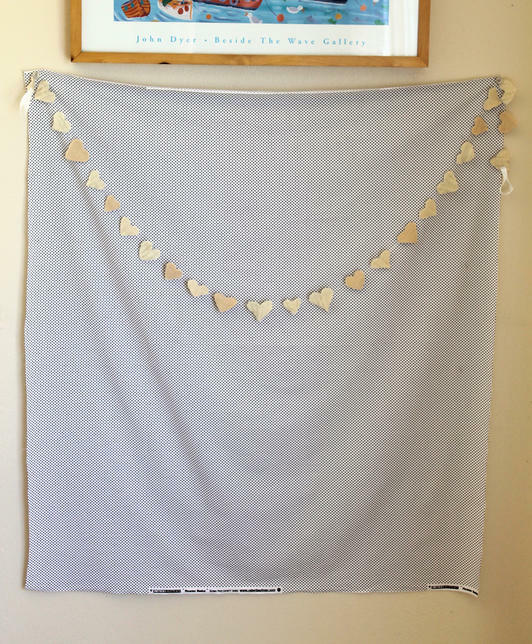 Create a backdrop by hanging a piece of ironed fabric to the wall with tape. Hand your props to the kids and start the photoshoot. Use a photo editing program like Picasa to edit your phots into a photo booth style. To do this, adjust the contrast to shrapen the image, and crop the photos into a square. Select your four favorite pictures. Using your phot editng program arrange your images into a collage. Print out your images and crop them to your liking. Mount the photo strip on cardstock cut slightly larger than the photos to create the card. Finish the card with a simple handwritten greeting and a little message from the kids inside.